Options will continue to grow…so come back for more options…and please contact us with your suggestions! 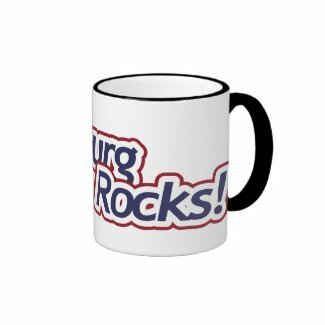 Strasburg Rocks! 11oz Mug Ringer Mug. 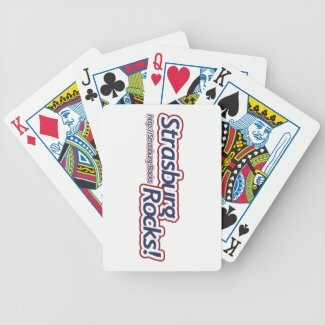 Strasburg Rocks! Bicycle Playing Cards. Please note, Strasburg Rocks! is for celebrating Strasburg, Colorado…not making money. However, Zazzle requires a minimum 5% royalty (they wouldn’t let us set it to 0%). Any money we earn over costs we’ll donate to good causes in Strasburg.